Should I Use Metal, Glass, Ceramic, or Silicone Pans? 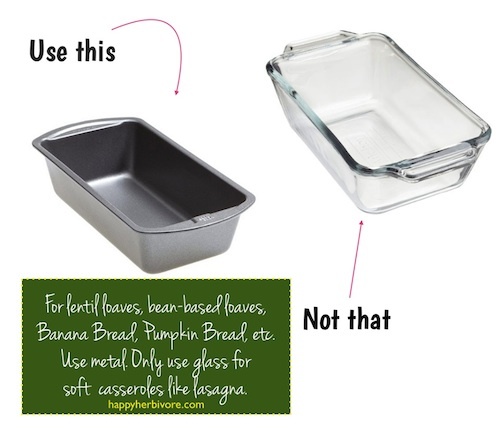 Except for casseroles like lasagna, you don't want to use glass for baking. Not banana breads, "meat" loaves, or anything you expect to firm or brown/crisp. When I posted this tip (and meme) on Facebook, it was a game changer for everyone who had a previous fail. RULE:Glass bakeware is for "wet" baked goods (like lasagna, casseroles, bread puddings and cobbler) and metal bakeware is for "dry" baked goods (like cookies, breads, muffins, and lentil loaves). If you're worried about non-stick safety, here's an article by Dr. McDougall discussing the science for your consideration: "Non-stick Pots and Pans: Are They Safe?" Can you interchange glass and metal? Generally no. If a recipe calls for one over the other -- use what is specified. If the recipe doesn't indicate glass vs. metal, use this guide to decide. Lingo: "Baking pan" usually means metal vs "baking dish" usually means glass. If it's a HH recipe, you want to use metal - with a few limited exceptions. I donated all my glass bakeware about a year after we were plant-based, realizing I never used it anymore. (Especially after I discovered the ease of lasagna rolls. Lasagna was the only thing I still used my glass bakeware for). The one exception is my Pyrex glass pie dish that I use to make HH cornbread and HH cobbler (though my metal pie pan works just as well for both), and HH Pumpkin Pie. There's been a long debate in the culinary world on metal vs. glass when it comes to pies, and I have used both, though I like glass better since I'm baking oil-free. (I find my pies don't "stick" to glass but they sometimes stick to metal). Glass conducts heat extremely well (and it's an insulator), which is why food cooked in glass often burns at the edges before cooking all the way through (hence the "meat" loaf dilemma). It also takes longer to heat up. If you must use glass, reduce oven temp by 25 degrees and add 5-10 minutes on your bake time -- though be prepared it still might not be "perfect." I also recently upgraded all my storage containers to glass, and since they are oven-safe, I have glass bakeware if I ever want it for, say, HH Enchilada Casserole (from The Happy Herbivore Cookbook). Light-colored and shiny metal pans are best IMHO. Darker metals cause over-browning and burning since non-shiny metal pans absorb heat faster. I got rid of my cast iron skillet when I went oil-free, but the only time I liked it for baking was when I made cornbread so I could get that deep, golden-brown crust! HOWEVER, as I learned writing Everyday Happy Herbivore, shoving your metal pan in the oven to heat it BEFORE adding the batter does about the same. 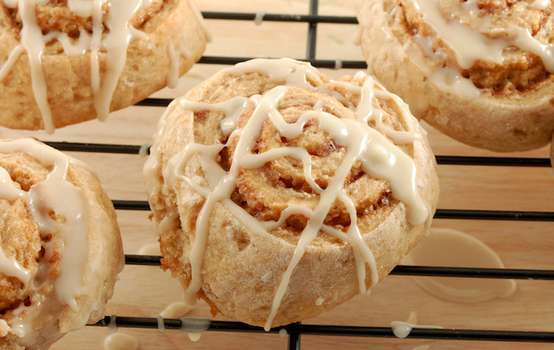 Aluminum is better than stainless steels for conducting heat and baking foods evenly. Metal also heats fast (and cools fast too) so it's IDEAL for short baking time items at really high temps like HH Whole-Wheat Drop Biscuits and HH Oven Fries. RULE:Don't store/leave food in aluminum pans. The aluminum will react with acids in the food and give leftovers a metallic taste. (Stainless steel does not do this). Two years ago I bought my first stoneware piece. I was cheap and bought a knockoff and if I could do it over I would save to purchase Le Creuset instead. I don't use my stone bakeware piece very much -- mostly for HH Spinach & Artichoke Dip (in Light & Lean and Holidays) or stuffing (it looks pretty on the table at parties and potlucks). I've also been debating on buying a 5.5 qt Dutch Oven for about 9 years. The hold up is that they're expensive, and I'm not sure I'd get as much out of it as I might if I was an omnivore (it seems they're more popular with meat dishes, which is lost on me). I've had mixed results with silicone, but it is the fat-free, oil-free, no-stick bestie. Sometimes my silicone cups work (though I find they need a few more minutes baking), and sometimes my goodies are mush in the middle no matter what. 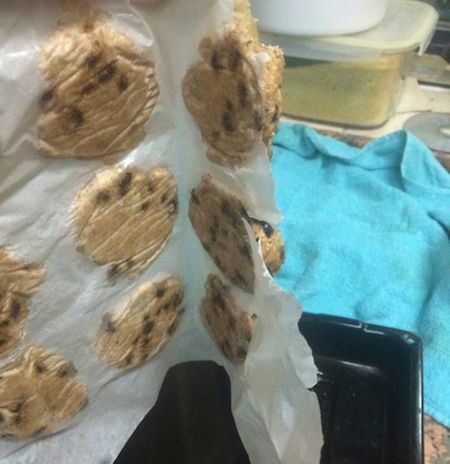 Silicone is a poor heat-conductor and baked goods brown very little, if at all. Sometimes the slicone mat works great for me, but most often whatever side was ON the mat is kinda wet and not as crisp as the other sides, even if I flip halfway (vs. when I cook using parchment paper, it's always perfect). You can also get parchment paper liners, which I LOVE. ON THAT NOTE, wax paper is NOT the same as parchment paper. 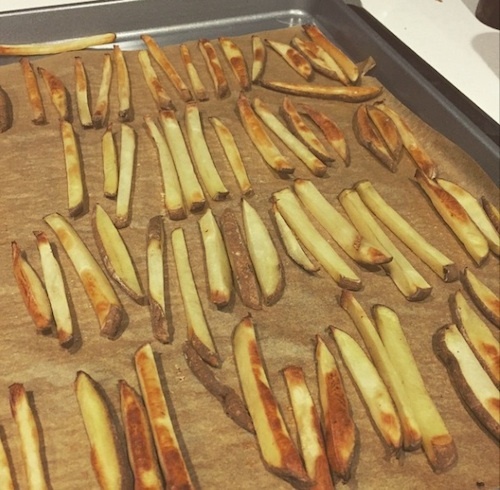 I try to create as little waste as possible, so I will reuse my parchment paper sheets several times over AND I only use the cups when serving friends or taking to a potluck. At home I cook them "naked" in my muffin tin. At home I'll also use silicone if it's just Scott and I eating, since I know he will eat something not perfect and so will I. Note: Most of these items I bought a decade ago and they still look new. Pressure Cookers - Read this blog post comparing the Instapot to the Cuisinart pressure cooker. P.S. Welcome to the "Cook Like a Pro" mini series!!! This series will span across 6 posts this month PLUS additional BONUS content in the FREE Happy Herbivore newsletter each week. Don't miss the free tutorial videos and PDFs! and if YOU have any cookware tips or insights, please leave a comment!